I used to love a great rainy day at home. Before I had kids, I’d spend the colder months inside at home as much as possible…preferably underneath a blanket, sipping a hot beverage. But I’m a stay-at-home mom, and I’ve noticed that my little ones need fun things to do on a rainy day at home. We get them quite often around here and it’s a little bit crazy-making for both mom and kiddos. I decided to round up my best tips for stay-at-home moms to create some fantastic (and easy!) rainy day activities for toddlers and preschoolers. Grab the Rainy Day Activities cheat sheet! Whether you and your kids have been stuck inside due to illness, rain, sub-zero temps, or any combination, I thought I’d share my favorite things to do on a rainy day at home. I’m reminding myself of these simple ideas because I really need them right now! My first tip might sound a bit odd, but taking down the Christmas tree and moving a few pieces of furniture really made my kids feel like we were in a new, exciting space. I also love to pull out the couches from the wall so they have a tunnel to play in. Moving furniture around, either for a day or indefinitely, works wonders in any room. Bonus points for creating a better-functioning space for your kids to play in. If I’m not careful, we’ll end up playing cops and robbers most of the time, or using the same dolls and Legos every single day. Even if it’s what my kids ask for, I know from experience that their go-to activities are going to get old. So here are a few ideas that will keep toddlers active and (hopefully) engaged. Change it up every day! Silly Dance Contest – we dance along to Jim Gill. You can find all his silly videos here. I admit it—the pull of getting things done around the house sometimes keeps me from intentionally creating activities for my kids. Here are a few simple ideas that I need to reinstate right about now. Indoor picnic—Eat snacks or lunch over a plastic tablecloth in the living room. Baking—I can’t seem to stop talking about it, but we do have fun with simple baking projects, even if they aren’t successful. Board games—My toddler is still too young, but my preschooler can play all kinds of games at this point! Car races—The kids pick a vehicle, we count to three (as best as we can), and set them loose! Crafts—Sometimes you just need a little Pinterest in your life. I love grabbing simple craft ideas there! Water play—If you’re up for a bit of a mess, set up some bowls, cups, spoons, funnels, and fill them with water. Put everything on a cookie sheet, one per child, and let them go to town! An alternative to this is having a play-focused bath with special toys, or giving them a few plastic toys to wash in the sink. Another way to make your home feel like a different place is to build forts! I don’t know who wouldn’t love a creative, cozy little space to relax in, and my kids are no exception. Even if you have a tent set up in your kids’ rooms, I found that moving it around helps them enjoy it so much more for the day. My husband is a fort-building master, and my kids will spend all day playing and pretending and even reading inside their forts. For a cozy day in, you can’t go wrong with a fort! Dressing in play costumes really sparks my kids’ imagination. Last week one of our pretend play ideas was to set up a royal ball, and Sylvie dressed up as a princess while Kai was a policeman/prince. I even played some classic ballroom waltzes to set the mood. I know that some toddlers and preschoolers love dressing up and do it constantly, but if your costumes are tucked away or you haven’t done it in awhile, break them out and see what happens! If you need a few more things for dress up play, try Melissa and Doug – my favorite! My kids love playing with flashlights. That’s why most of them end up scattered throughout the house with drained batteries. We got flashlights just for them, and that helps a lot! Here are a few ideas for flashlight games. 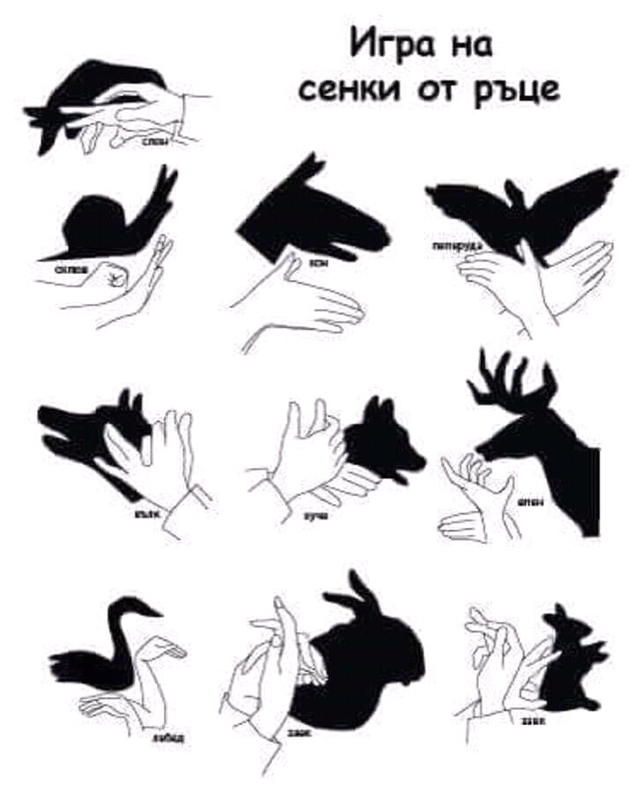 Shadow puppets. One person holds a flashlight while the other makes shadow puppets. Try teaching your kiddo some simple shapes first, like a donkey or snail, and then turn out the lights! Flashlight tag. This is hide-and-seek with flashlights! The one who’s “it” has to tag others with the light of their flashlight to get them out. Find the colors. Mom chooses a color for little ones to find with their flashlight. The first person to shine their light on a red object, for example, wins that round. I used to exercise after my kids were in bed or during naps, like it was some sort of secret ritual. I’m so glad I finally figured out that my children need some time to focus on movement and activity, and it’s also great when they can see me taking care of my body too. Even if they aren’t doing everything I do, they join in when they can and play around me, and you know what? It’s working for us! I saved my most important tip for last. Make time to organize your kids toys, and in the process, tuck away the toys they aren’t using. If you’re at a loss for where to put them, this is Amazon’s top selling toy organizer. Right now I’m working on throwing out our baby toys, and in the process, my preschoolers decided they love blocks once again. It didn’t last long, but if your kids have toys that are engaging and age-appropriate but haven’t been used in awhile, put almost all of them away. Then rotate them out, and it’ll be like Christmas every week! How do you and your little ones like to spend a rainy day? Thank you so much for the wonderful ideas!! We are really feeling the cabin fever around here. We can usually work through it, but this year it is affecting both of our moods and our schooling! This year is so much different because we are living in a camper while we finish our home. And while the hubby goes to work and the middle child goes to high school. MK and I are at home. I joked that it is like living in a bedroom all day! Especially when it is cold and then rainy! We are going to take full advantage of the slightly warmer days, and maybe try to get out a little more. Maybe head to the library and do school. Try out some extra board games and maybe some art. Great ideas, Laura. We’ve been stuck inside a lot lately because of rain. My kids love indoor picnics! Thanks for the tip about warming up the car–this might make it easier on us. Rotating toys is something that I first heard about maybe a year ago, and it is a total game changer! It’s like brand new stuff every time! I agree, it works wonders! I love watching my kids rediscover their toys.